This hotel in downtown Cleveland is one-half mile from the Rock and Roll Hall of Fame. 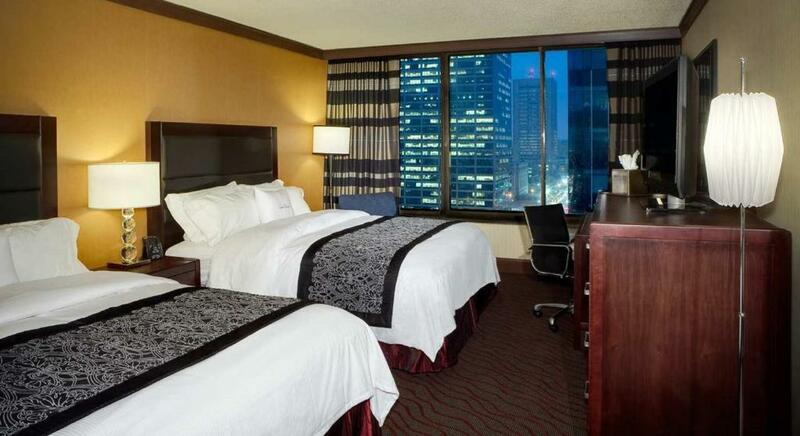 This hotel offers a spacious indoor pool and free shuttle service to downtown attractions. 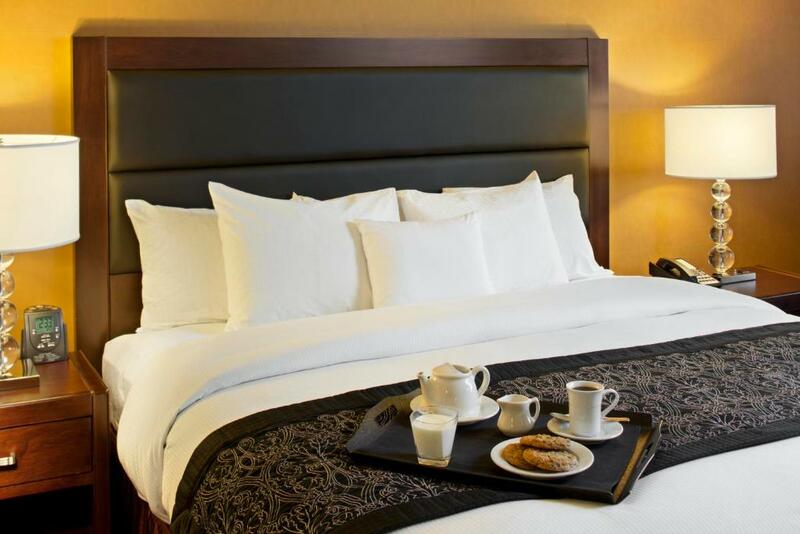 Doubletree Hotel Cleveland Downtown Lakeside features a flat-screen TV and free Wi-Fi in every guest room. A designer coffee maker and bath amenities are also provided. Guests can enjoy the modern gym with cardiovascular and weight training equipment at the Downtown Cleveland Doubletree. A well-equipped business center is also available. Stadium 3 Bar & Grille at the Cleveland Downtown Doubletree serves American cuisine for breakfast, lunch and dinner. A full-service Starbucks is also on site. Warm chocolate chip cookies are served on arrival. This room features a cable TV and en suite bathroom with free toiletries. This room features a cable TV and en suite bathroom with free toiletries. Breakfast and an evening reception with snacks and drinks are featured in the Executive Lounge. This suite has a cable TV, seating area and sofa. Breakfast and an evening reception with snacks and drinks are featured in the Executive Lounge. Your experiences are very helpful to other travellers. On a scale of 1-5, rate the equipment you have used during your stay at the hotel DoubleTree by Hilton Cleveland/Downtown Lakeside and express your opinion. Your opinion is important! I certify that this review is based on my own experience and is my genuine opinion of this hotel (DoubleTree by Hilton Cleveland/Downtown Lakeside), and that I have no personal or business relationship with this establishment, and have not been offered any incentive or payment originating from the establishment to write this review.